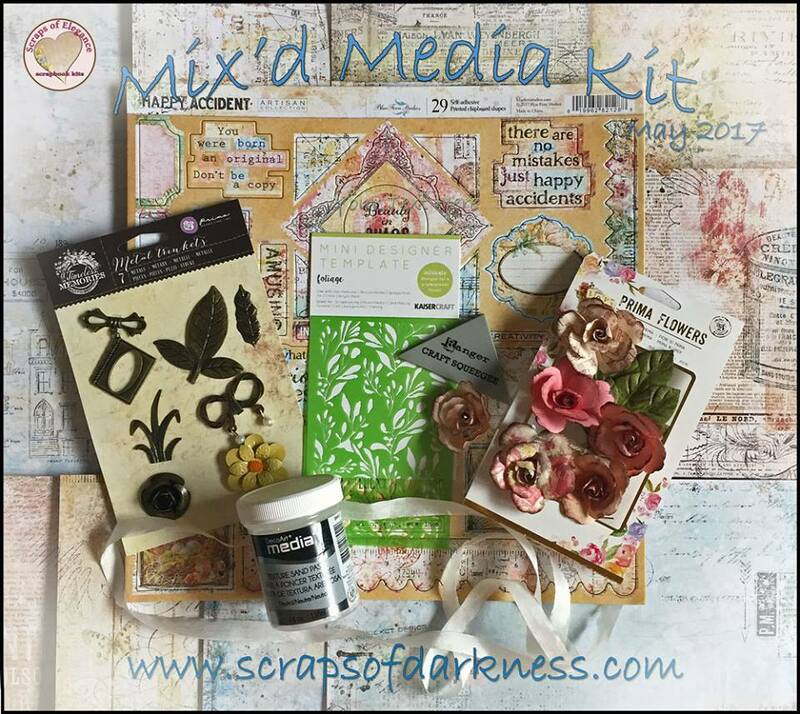 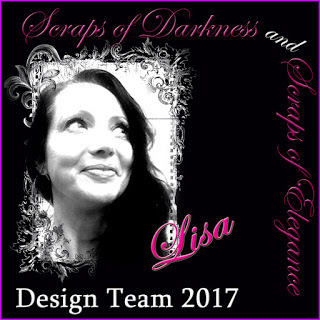 Hello crafty friends, it's Lisa here to share my very first layout created with the Scraps of Elegance May kit called 'Mix'd Media'. and compliments everything in the kit. that perfectly match this month's papers. 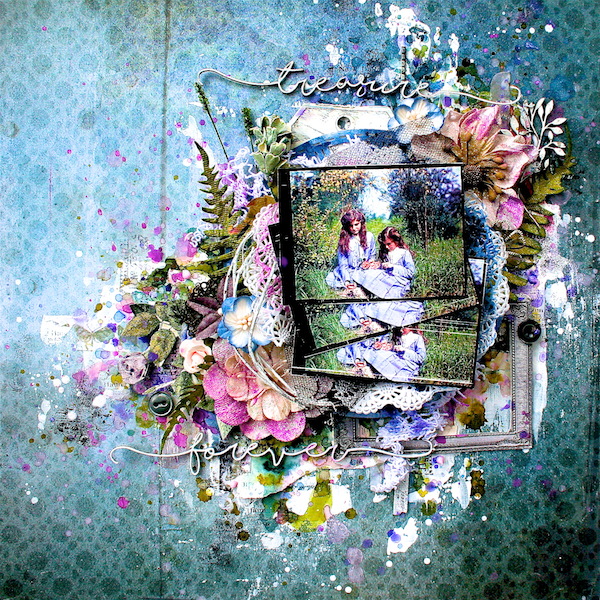 I created my background by using lots of watercolors and then over the top I added some stenciling with the Kaisercraft stencil and the DecoArt Media Texture Sand Paste. 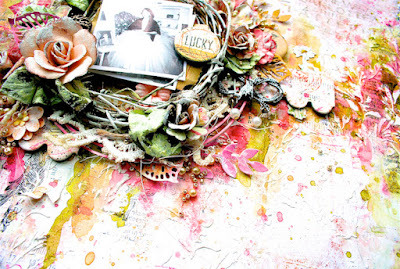 Then I added some of the Blue Fern Studios chipboard, Prima Metal Trinkets, and the Maya Arts Ivory Ribbon that I ripped in half, colored with some pink 13 arts ink, and then scrunched it up down the side of my page. 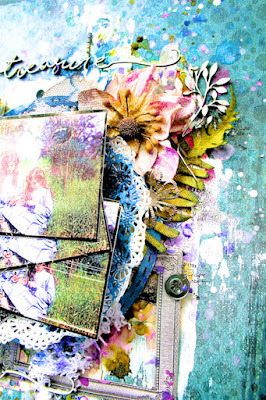 and the Tim Holtz Botanical Ephemera included in the Elements Add On. beautiful Scraps of Elegance kit called 'Song of Spring'. 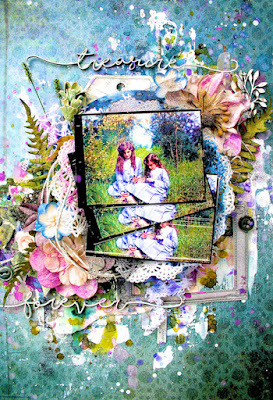 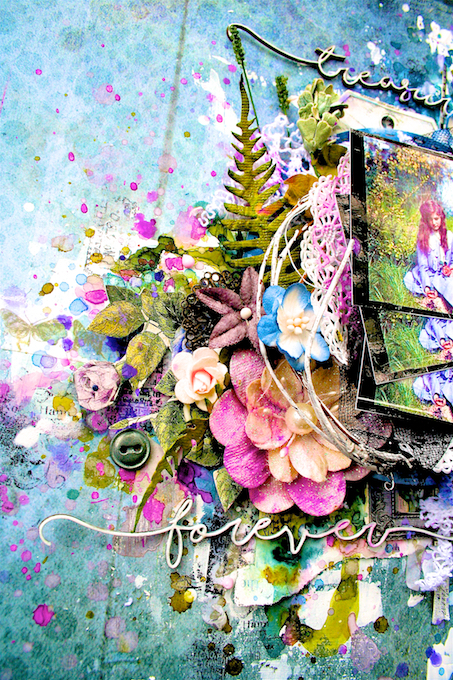 I used a lot from the Main Kit, the Elements Add On, and the Floral Add On on this page, the Nuvo Sweet Lilac Drops, the Kaisercraft Butterflies Printed Washi Tape, and the Ultimate Crafts 'Rambling Rose' Ephemera Die Cuts. 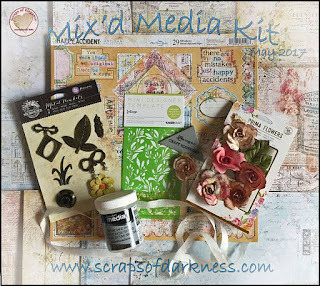 I used a few pieces of 2 Crafty Chipboard, I love those swirly words, and a little 'Fine Leafy Bush', you can find their products here. 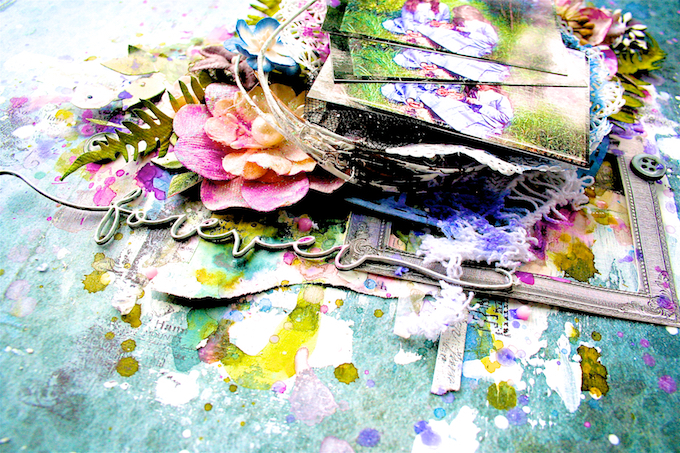 Both the pages are awesome! 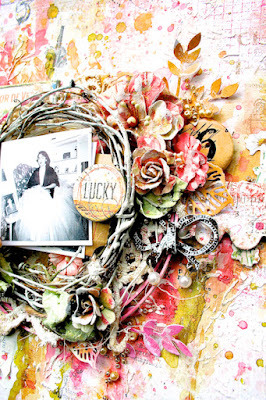 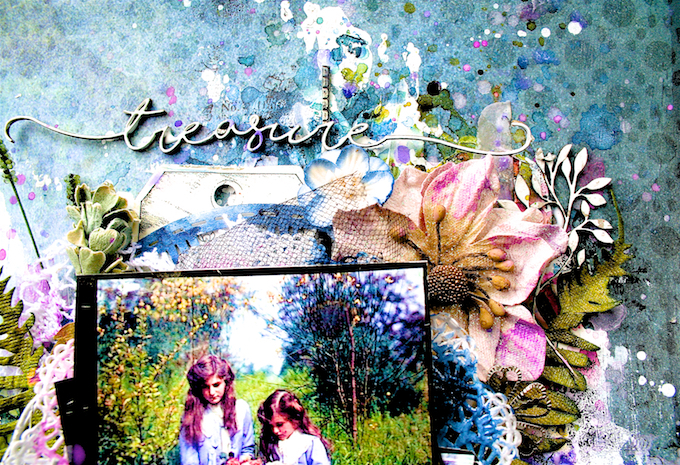 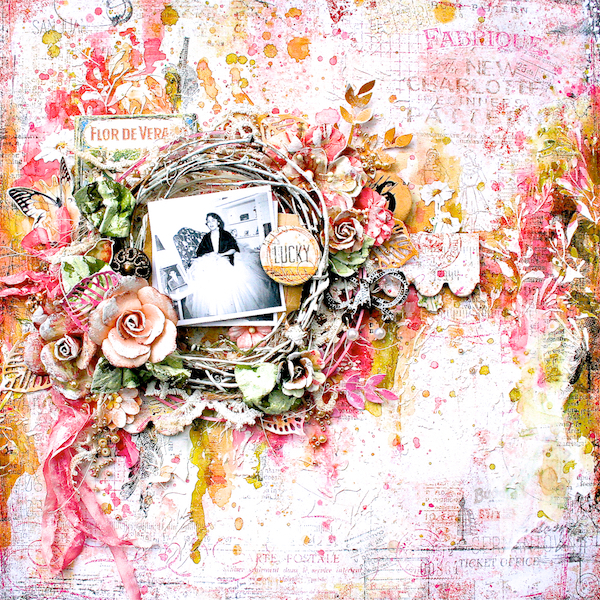 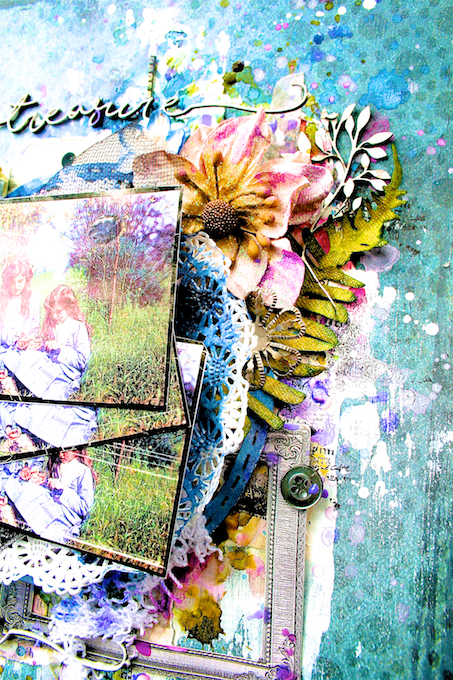 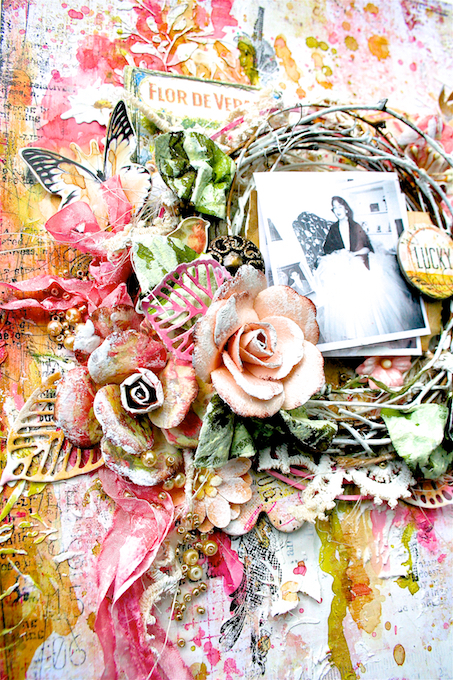 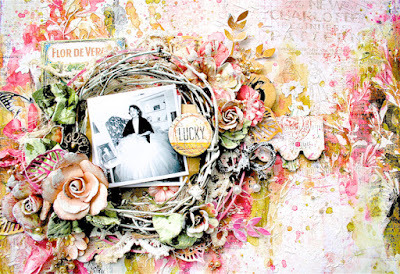 Mixed media gorgeousness!